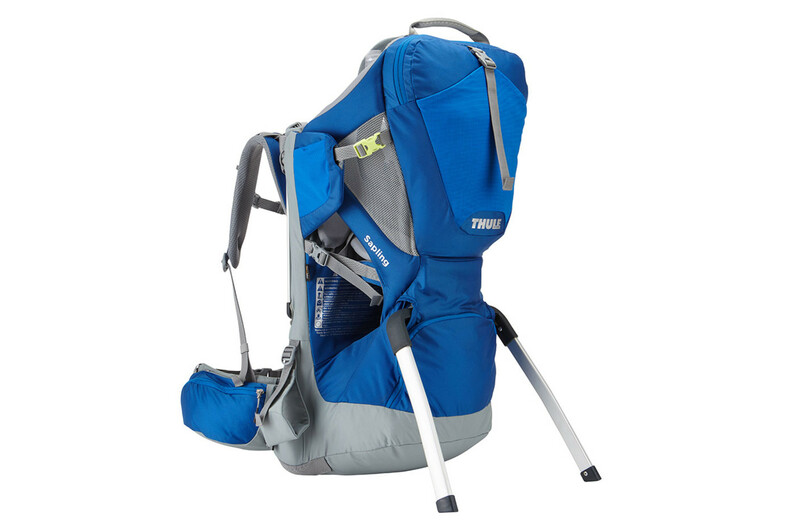 Safe, comfortable child transport on the trail that effortlessly transitions between parents with simple torso and hipbelt adjustments. 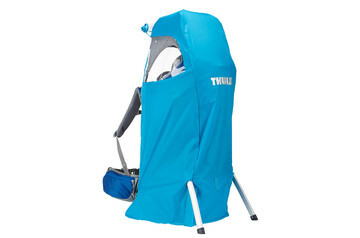 Keep your child dry with Thule’s packable Sapling Child Carrier Rain Cover. Safe, comfortable child transport with quick adjustment to fit both parents, viewing mirror, removable backpack, and roomy hipbelt pockets. BEST purchase for family's who love an outdoor lifestyle! My husband and I have used these for hiking with our Twins since they were 1, now 2 1/2. We mostly use them for day hiking all year around. Our Toddlers try to get into the Carriers by themselves before we are even ready to get them in. They love being on our backs and find it easy to take a nap on our way back down from a summit. Some things that stand out for me; Everything is adjustable, shoulder straps, torso and the hip belt, making it fit your body height and type. This makes carrying a heavy baby or toddler a lot easier. I'm 5'3, I've been carrying my son who is almost 40 pounds. 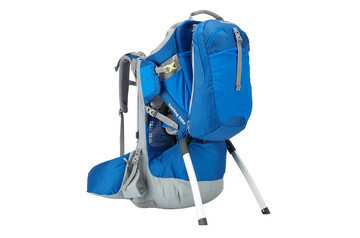 The actual straps and saddle for the child is adjustable to your child's height as well. They have spent 2-3 hours in the carriers with breaks in between to walk around and eat snacks. They always seam comfortable. Storage; Lot's of storage. It fits all our toddler essentials, food, water, plus a heavy camera or drone. Very supportive; padding in all the right places!